Sigma 20mm f/1.4 DG HSM Art Lens for Sony E: $899 at B&H, Adorama. Sigma 24mm f/1.4 DG HSM Art Lens for Sony E: $849 at B&H, Adorama. Sigma 35mm f/1.4 DG HSM Art Lens for Sony E: $899 at B&H, Adorama. 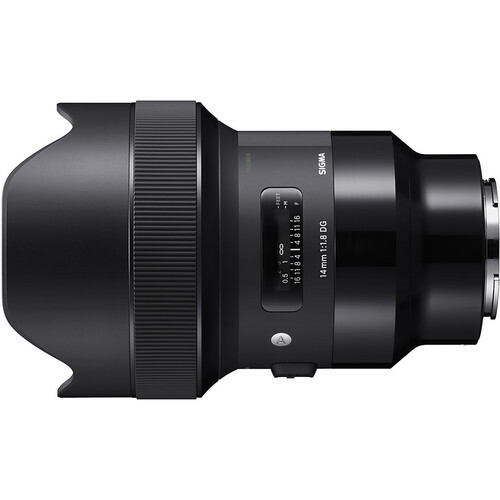 Sigma 50mm f/1.4 DG HSM Art Lens for Sony E: $949 at B&H, Adorama. And according to B&H Photo, the new Sigma 105mm f/1.4 DG HSM Art Lens for Sony E mount will be released at the beginning of November 2018. Ronkonkoma, NY – August 9, 2018 – Sigma Corporation of America, a leading still photo and cinema lens, camera, flash and accessory manufacturer, today announced availability of three of its interchangeable Art prime lenses for Sony E-mount camera systems – Sigma 14mm F1.8 DG HSM($1,599 USD), Sigma 70mm F2.8 DG MACRO ($569.00 USD) and Sigma 135mm F1.8 DG HSM($1,399 USD) – through authorized US retailers.